USA Basketball and the NBA are getting together to shape a better environment for kids’ basketball. Through a new series of youth coaching and playing guidelines, the partners hope to produce a seismic shift in how the game is coached and played during childhood and into high school. What’s different? The new guidelines include measures to reduce the current overemphasis on competition at early ages. They also include recommendations to ensure the health and well-being of young players, promote enjoyment of the sport, and create the optimal environment for better long-term skill development. One of the key prongs of the new recommendations is an emphasis on sport sampling prior to adolescence. Also known as the multi-sport approach, sport sampling refers to kids playing different seasonal sports and physical activities throughout the year and throughout childhood. What does sport sampling look like? 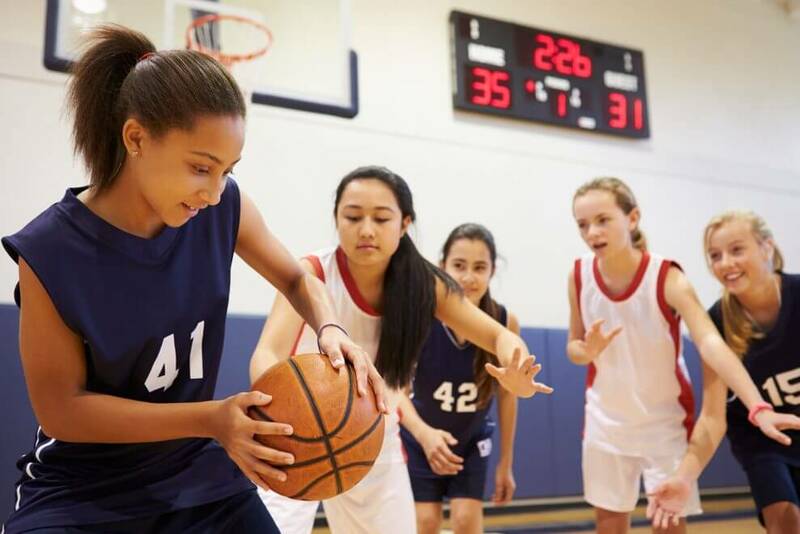 If kids play basketball in the winter months, then perhaps they play volleyball in the spring, soccer or baseball in the summer, or dance or gymnastics at different times in the year. The point is to mix it up and develop a variety of skills and overall athleticism prior to specializing in mid-adolescence. Another aim of sport sampling is to reduce the incidence of repetitive-use injuries, athlete burnout, and drop out from sport altogether. As explained on the new youth basketball guidelines website, the NBA and USA Basketball are responding to the advice of sport and coaching experts together with mounting research into the importance of the multi-sport approach to keeping kids in sport and activity and developing better skills. The video on the website does an excellent job of explaining why sport sampling is important and why early specialization should be avoided. The NBA and USA Basketball guidelines address four age groupings: eight and under, nine to 11 years old, 12 to 14 years old, and grades 9 to 12. Each guideline describes playing rules, equipment recommendations, and recommended competition structure for each age segment. In this regard, they closely mirror the Long-Term Athlete Development (LTAD) model developed in Canada by Sport for Life since 2005. Promote personal engagement in youth basketball and other sports. Youth sports should include both organized and informal, peer-led activities. Youth should participate in a variety of sports. Delay single-sport specialization in the sport of basketball until age 14 or older. Ensure rest from organized basketball at least one day per week, and extended time away from organized basketball each year. Further evaluation of basketball-specific neuromuscular injury prevention training program is warranted. Parents and coaches should be educated regarding concepts of sport readiness and injury prevention. Providing developmentally-appropriate standards for youth basketball is a great step forward in ensuring a quality sport experience for young players. In the years to come, the NBA and USA Basketball are betting that it will mean more kids staying in the game as a recreational sport, and more stars rising to the top of professional competition.